I was out the other night with some mom friends and we were talking about bath time routines. Admittedly, I do not give the kids baths every night. They usually get one every other night in the winter unless they are super gross. In the summer, they do usually get bathed every day simply because they’ve been covered in sunblock and out in the dirt all day. On those long days though you can bet your bottom dollar that I’m not leisurely drawing a bath overflowing with bubbles for each of the children to enjoy. Those kids are getting hosed off in the fastest way possible which generally means a shower. Note: I would bathe a couple of them together but Daniel (2) is no one’s friend in the tub. He’s the kid who’s stealing your toys, dumping water on your head, and trying to drown you. When I mentioned that I often just shower the kids to my friends several of them said that their kids won’t take showers. Luckily, I’ve never had this problem. 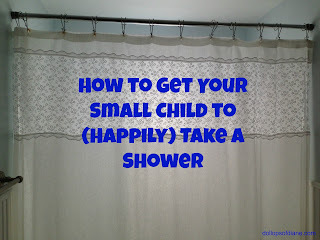 After I shared with them how I shower them and saw the light bulbs going off in their heads it dawned on me that not everyone does it my way so I figured I’d share my expert* ways. First, a couple of Mother’s Days ago, I asked my husband to put in one of those handheld shower hoses that you can take down to use. This alone was life changing. If you have children and do not have one of these, put down what you’re doing and run (don’t walk) to the nearest store to get one. It makes life so much easier with bathing kids. Then when I shower the kids I put a step stool in the shower for them to sit on. It’s not a fancy schmancy made for the shower stool – it’s the stool they stand on when they wash their hands. So I just grab the little plastic stool and put it in the shower. They then sit on it and happily play with a toy while I hose them down, suds them up, and then rinse them off. I’ve perfected it to take approximately two minutes total per child. Sometimes if I’m feeling nice I let them hang out in there for a few minutes and hold the sprayer themselves. They love this and only mildly soak the entire bathroom. 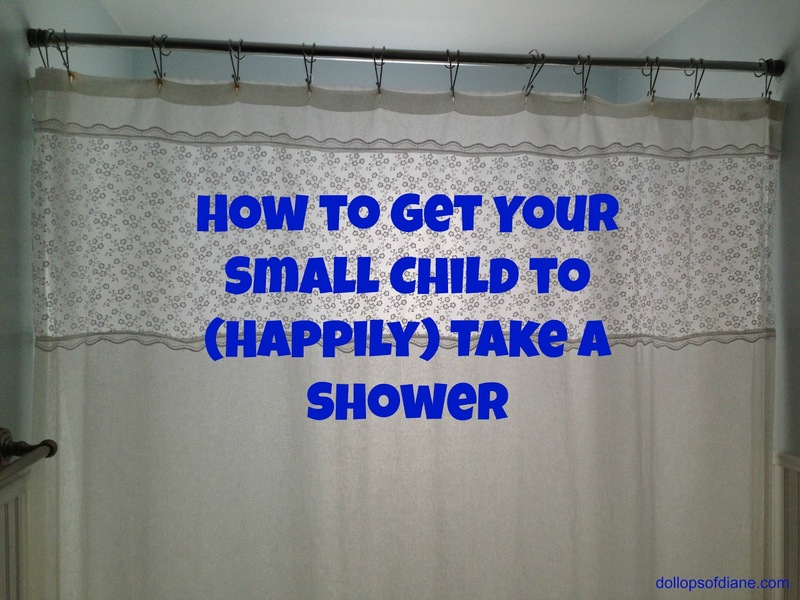 So there it is folks, got a small child who doesn’t like to shower? Get a shower head with a hose, throw a stool in the tub, and (hopefully) kiss your problems goodbye!